Something so HUGE just happened it even defied the bookmakers in London. The bookies never get it wrong; their odds are virtually always spot on. A victorious BREXIT just took the United Kingdom, the European Union and the rest of the world by storm … a Superstorm of truly biblical proportions. For those who are not familiar with the phenomenon known as the Super Shemitah, you will be very soon. It’s actually about many different things, but especially about the release of indebtedness. 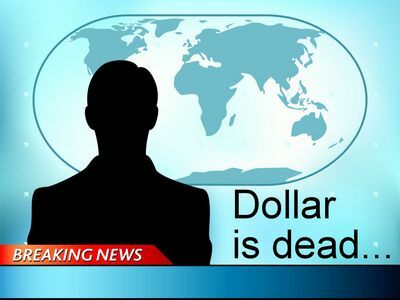 The entire planetary civilization is about to experience an unprecedented and unparalleled liberation from debt slavery. Make no mistake about it, the defining moment of 2016, of the decade, and of the millennium has just occurred. 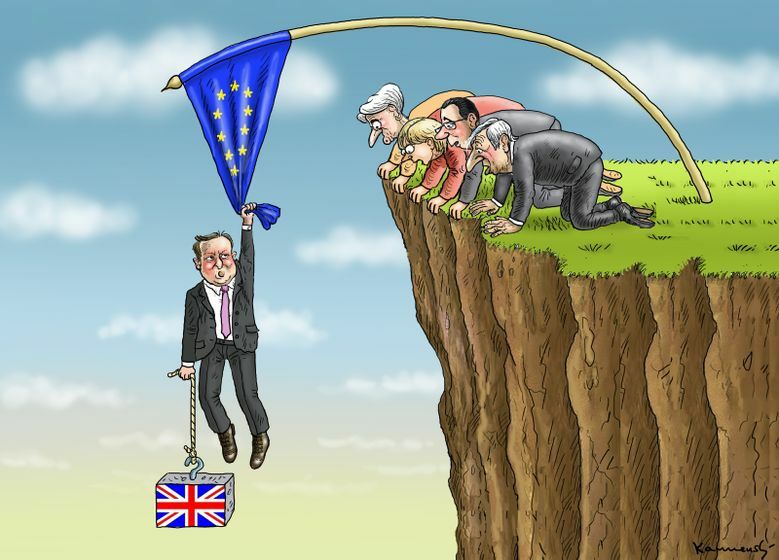 With the departure of Great Britain from the European Union (EU), the entire EU project will undoubtedly crash and burn. France has already called for their own referendum regarding continued EU membership. The French are like the British, only on steroids where it concerns getting the heck out of the disastrous EU. So are the Dutch. Hence, it is easy to see where all of this is rapidly going. Back to the Super Shemitah. Now that the BREXIT genie is out of the bottle, there is no putting it back in. The original financial architects and social engineers of the European Union probably did not know what they were doing when they foisted the Treaty of Rome on the unsuspecting back in the last century. They certainly did not accurately foresee the utter catastrophe that the Maastricht Treaty, which came into force on 1 November 1993, would cause throughout Europe and around the world in 2016. That year — 1993 — was effectively the beginning of the single most disastrous project in modern history. For it served to set up the world for BREXIT, the trigger point for the collapse of the Global Economic & Financial System (GE&FS). There is simply no stopping the cataclysmic events which are inevitable in the year of the Super Shemitah. Many have scorned and snickered at the notion of such a worldwide apocalyptic event. Now they will see firsthand what such an earth-shaking series of events can do to the entire planetary civilization. The repercussions will be so far-reaching and ramifications so profound as to re-arrange nations and societies everywhere. The following articles lay bare exactly what is coming around the corner. Perhaps the single greatest effect from today’s BREXIT victory will be the unstoppable domino effect which has already been triggered. Virtually all of the citizenries of the EU nations have been denied referendums on the membership issue. When they have taken place, they were clearly fixed by the NWO controllers. For years there has been a pent-up frustration within the populace that has been waiting to explode. Welcome to the Europe Summer! Everyone has heard about the fake Arab Spring by now. Whereas that was a completely fabricated series of CIA-coordinated revolutions throughout the Middle East, the world is now about to witness the Europe Summer. Regardless of the torrential rains that are falling all over the continent, it’s about to get hot … very hot. The people of every country in Europe have the inviolable right to decide their respective destinies. They have been consistently denied that right by a bunch of despotic Eurocrats in Brussels. That’s all about to change quite quickly. 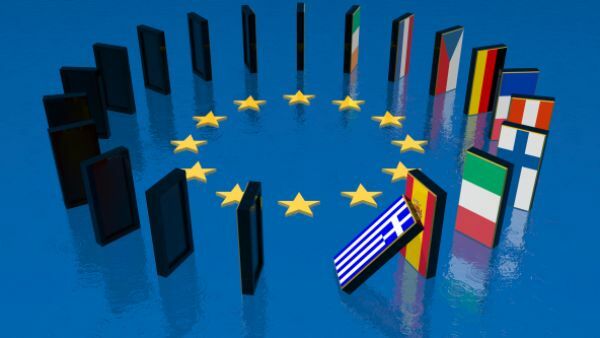 The southern tier of Europe, especially Greece, has suffered terribly under the heel of the EU tyranny. Italy, Spain and Portugal have been treated like the step-children of an overbearing EU dictatorship. The bullies in Brussels have bribed and blackmailed, bullied and browbeat those vulnerable countries into obsequious submission. Time and again, the autocratic agents of the NWO have foisted economic regimens and financial regimes on nations which did not want them and could not afford them. The realities of such disaster capitalism were always the same – extreme financial hardship and economic contraction. The Europe Summer is here and the people will be heard like never before. Whereas Greece is the real Achilles’ heel, Italy has the size and heft to take down the whole European Union project, once and for all. The Italians, in particular, have the will to do just that. Spain, too, has the wherewithal and motivation to support Italy in its quest to reclaim its national sovereignty. Likewise, there are those Central and Eastern European countries that are also aching to take back their power, especially to maintain their territorial integrity which has been seriously compromised. Truly, this is the day that we have all been waiting for. The beginning of the end is upon us. RIGHT NOW! There was always a mathematical certainty built into the current structure of the Global Economic & Financial System. The very architecture was hardwired, just like the Twin Towers were hardwired for demolition when they were built, for its own free-fall collapse. The current System could only go on for so long. And that end date is NOW. The Senior editor of SOTN was an investment broker and financial consultant back in the 1980s. It was quite clear then that this whole God-forsaken System was doomed. The only surprise here is that it literally took 30 years to collapse. Now that was an exercise in extreme competence with financial smoke and mirrors, fiscal sleight of hand, economic legerdemain and monetary manipulation. The global money matrix, worldwide financial architecture and planetary economic landscape most closely resemble the proverbial House of Cards in the form of a Pyramid-Ponzi scheme superstructure built on quicksand. Therefore, any sober and sane inhabitant of Planet Earth would only want to be rid of it all. And that’s exactly what the FOUR HORSEMEN of 2012 and beyond, aim to do. Trample it all under, so that we may finally be rid of it all. There is one last thing to say about the awesome consequences which will surely manifest in the wake of the monumental BREXIT. Even the nightly news is now proclaiming it. Each and every year the feast of St. John the Baptist is celebrated the world over by Christians and believers of other faith traditions on June 24th. His was a profound and poignant story of speaking the truth, especially speaking truth to power. Because Saint John so vociferously spoke the truth to the powers of his day (think Nigel Farage today!) his voice box was sliced and silenced. What better day than his Feast Day for the great people of Great Britain to find their voice. Were the truth to be known, this BREXIT vote was far more in favor of leaving than what the altered vote tallies indicate. Truly, God does often write straight with crooked lines and often He writes with divine numbers. The following prophetic comment was left under the above article on another website. If it doesn’t send shivers up your spine, nothing will. Thank you, Pecorino42! just in case they try to say that BREXIT never won on this historic day.